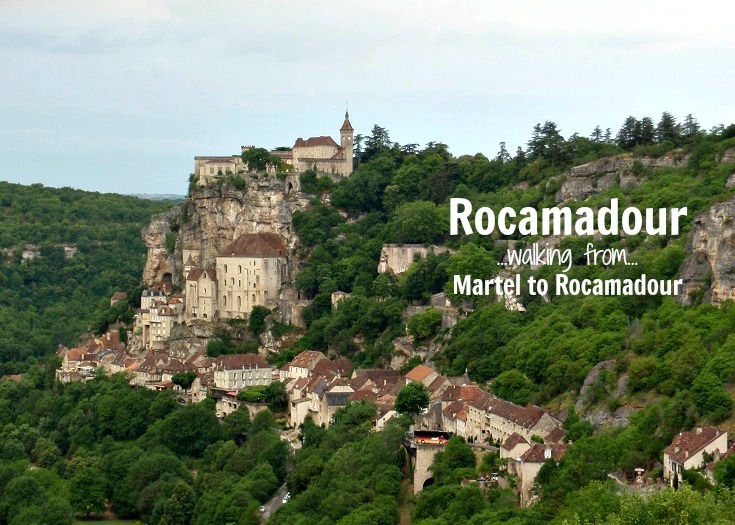 One-hundred and thirty kilometres (81 miles) of walking from Martel, through some of France’s most glorious countryside—and six of its most beautiful villages—brings us to Rocamadour. Considered the second most important religious site in France (after Mont-Saint-Michel), Rocamadour attracts a steady stream of visitors. Let’s join them and explore this historic village. 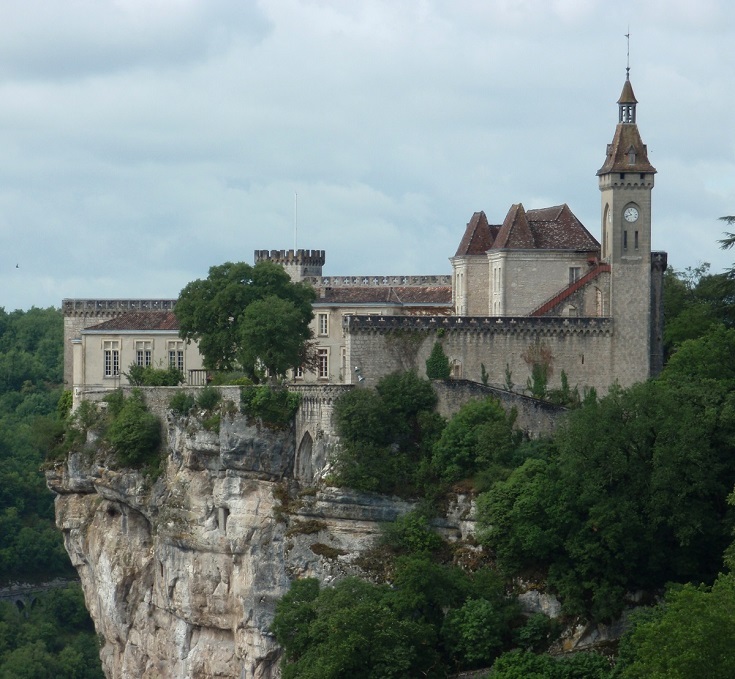 Whether you are walking or driving, the approach from the tiny village of l’Hôpital provides a breath-taking view of Rocamadour—with several chapels and the château clinging to the side of the cliff. If you have done any research for your trip, you have no doubt seen this view in many guidebooks and marvelled at the ingenuity and dedication required to carve out a community in such an unlikely location. Enjoy the view awhile, then follow the path from l’Hôpital down the hill, through the thirteenth-century porte, or gate, into the village. Legend has it that Zacchaeus—also known as Armadour and a servant of Mary, mother of Jesus—came to live here in the caves as a hermit, bringing with him a black wooden statue of the Madonna. In 1166, more than one thousand years later, the perfectly preserved body of Armadour was discovered buried beneath the steps of the chapel. Pilgrims have been flocking here ever since, often climbing the 216 steps to the church on their knees. In 1159, King Henry II of England came to Rocamadour, accompanied by his chancellor, Sir Thomas Beckett (later Archbishop of Canterbury). No doubt, they too stood here in Chapelle de Notre-Dame where the Black Madonna can be viewed today. Above her sits a ninth-century bell which is said to ring spontaneously whenever a person in danger at sea prays to the Virgin and receives her protection. From the church, a tunnel leads out to the Chemin de Croix—a path zigzagging up the side of the cliff to the château. At each turn of the pathway, a monument tells the story of Christ’s last days—from the Last Supper through to the resurrection. 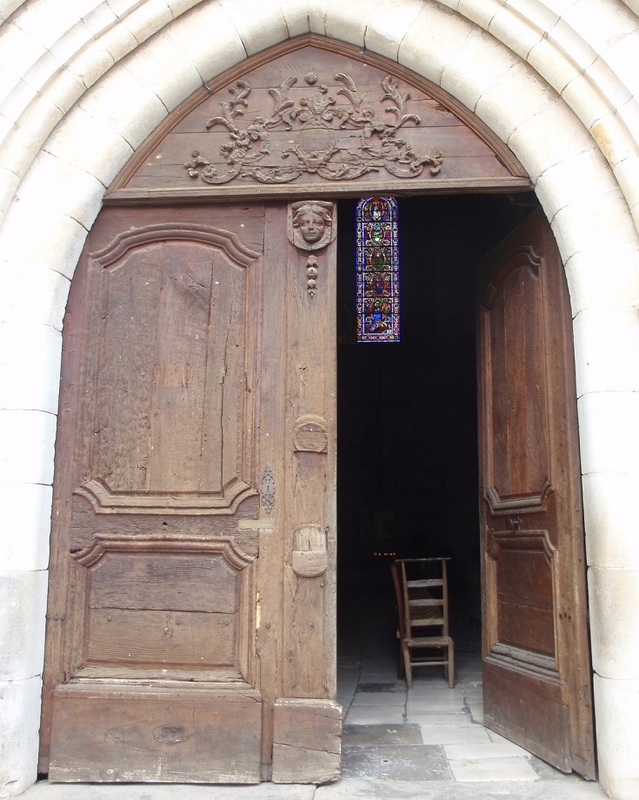 The château is now home to the clergy who live and serve in Rocamadour and is not open to the public. The remparts, or walls, which surround it are accessible throughout the day and offer stunning views over the rooftops down to the valley floor. If you’ve had enough walking for one day, a funicular will take you from the lower town up to the château and back. Prior to the discovery of Armadour’s body in 1166, Rocamadour was considered to be on one of the minor pilgrim routes leading to Santiago de Compostela in Spain. Since then, its popularity has grown enormously and today the main street is lined with gift shops stocked with religious artefacts and trinkets as well as regional produce such as foie gras, truffles and duck confit. Although the atmosphere can seem somewhat touristy and commercial today, the scene is not that different to a thousand years ago when it was home to innkeepers and traders. Perhaps today it is the ratio of pilgrims to tourists that has changed, rather than the number of visitors. 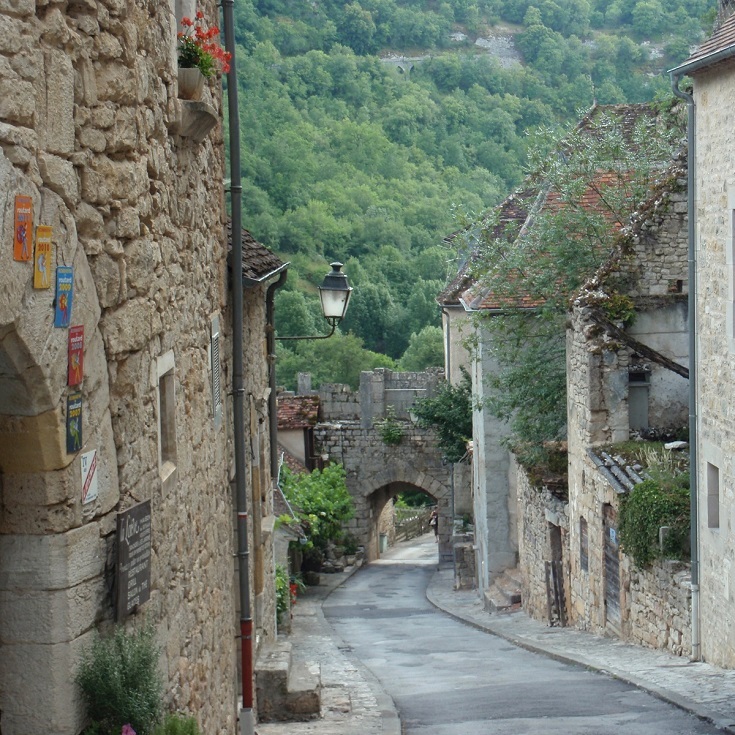 Whether you find spiritual—or culinary—inspiration here, there is something for everyone to take home from Rocamadour! 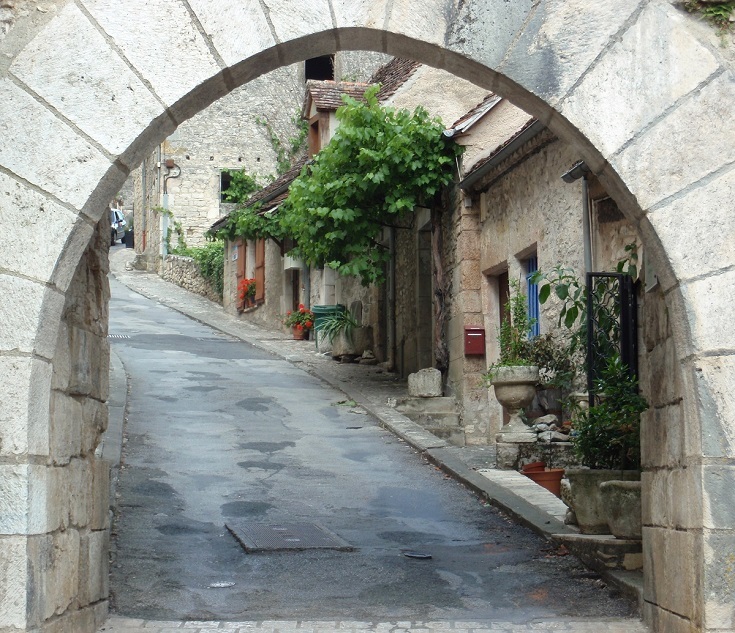 There are not too many streets in Rocamadour, so it worth taking an hour to wander them slowly and immerse yourself in the history. Once you leave behind the colourful signs and advertising banners, the timber and stone houses ooze with charm and character and the whispers of thousands of passing pilgrims. Rocamadour is 26.5 kilometres (16.6 miles) from Carennac. This is the last, and the longest, day of the seven-day walk from Martel. If 26.5 kilometres is a little too far, I recommend staying at l’Hôpital and walking the last kilometre into Rocamadour on the eighth day. You’ll find the Tourist Office on the main street of the village. Opening hours are listed here. There are many cafés in Rocamadour and several gourmet food stores where you can purchase all types of regional delicacies – to enjoy now or take home!